In a major retreat, the United States abandoned an attempt to win a new exemption for American troops from international prosecution for war crimes — an effort that had faced strong opposition because of the Iraqi prisoner abuse scandal. The U.S. decision on Wednesday marked the second time in just over a year that President Bush's administration was forced to withdraw a resolution because of deep Security Council divisions. In March 2003, it dropped a contentious resolution seeking U.N. authorization for the war in Iraq. 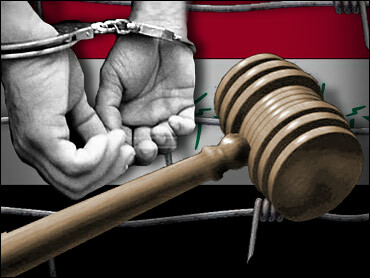 The U.S. decision does not make American troops in Iraq more open to prosecution, since neither Iraq nor the United States are members of the International Criminal Court, which started operating last year in The Hague, Netherlands. The tribunal is a court of last resort and will step in only when countries are unwilling or unable to dispense justice themselves. Its supporters say that makes it highly unlikely that an American would be prosecuted. The Bush administration argues that the court could be used for frivolous or politically motivated prosecutions of American troops. In addition to seeking U.N. exemptions, Washington has signed bilateral agreements with 90 countries that bar any prosecution of American officials by the court for alleged war crimes committed on their territory. U.S. diplomats said they will continue to seek such agreements. After a last-ditch U.S. attempt to get support for a compromise failed, U.S. deputy ambassador James Cunningham announced that Washington decided "not to proceed with further consideration and action on the draft at this time to avoid a prolonged and divisive debate." U.N. Secretary-General Kofi Annan urged the council last week to oppose the resolution, warning against dividing the council again. He also questioned the legality of an exemption and cited the abuse of detainees by U.S. soldiers in Iraq. On Wednesday, Annan's spokesman, Fred Eckhard, praised the U.S. decision. "The decision by the United States not to pursue a resolution on this matter will help maintain the unity of the Security Council at a time when it faces difficult challenges," Eckhard said in a written statement. Whether the U.S. demand for an exemption continues to pose problems for the council, however, remains to be seen. Several council members expressed concern that the United States might carry out its threat to shut down or stop participating in U.N.-authorized peacekeeping operations. "We only hope that this would not have an adverse effect on the peackeeping operations," said Algeria's U.N. Ambassador Abdallah Baali. "Everybody in the United Nations, including the United States, has strong interest in having the peacekeeping operations in different parts of the world go on." U.S. State Department spokesman Richard Boucher told reporters Wednesday that every request would be examined "both in terms of voting for a peacekeeping mission" and providing Americans to participate. A key factor will be "what the risk might be of prosecution by a court to which we're not party," he said. When the International Criminal Court was formally established nearly two years ago, the United States threatened to end its involvement in far-flung peacekeeping operations established or authorized by the United Nations if it didn't get an exemption for American peacekeepers. After lengthy negotiations, the Security Council agreed to a one-year exemption that was renewed a year ago. That exemption expires on June 30. Last month, the United States circulated a resolution that would have authorized a new yearlong exemption, but it delayed a vote until after members unanimously approved a resolution endorsing the June 30 transfer of sovereignty to Iraq's new interim government. France, Germany, Spain, Brazil, Chile and China had said they would abstain on the original resolution, and Romania and Benin had indicated they were likely to join them. There was no indication that the U.S. compromise — which would have made this exemption the last one — changed any votes. Several council members said the prisoner abuse scandal — which has rarely been out of the headlines in recent weeks — and Annan's opposition were factors in their refusal to back the original U.S. resolution or the compromise. The 94 countries that have ratified the 1998 Rome Treaty creating the court maintain it contains enough safeguards to prevent frivolous prosecutions and insist that nobody should be exempt. The court is the culmination of a campaign for a permanent war crimes tribunal that began with the Nuremberg trials after World War II. It can prosecute cases of genocide, war crimes and crimes against humanity committed after it was established on July 1, 2002. The court's chief prosecutor announced its first investigation on Wednesday — of war crimes in Congo.